Reaching for the sky: on the 69th floor of the Guangzhou International Finance Center the luxurious Hua Spa opened in summer 2012 with a spectacular view of the Pearl River delta and China’s third largest metropolitan area, and offering a heavenly spa experience. 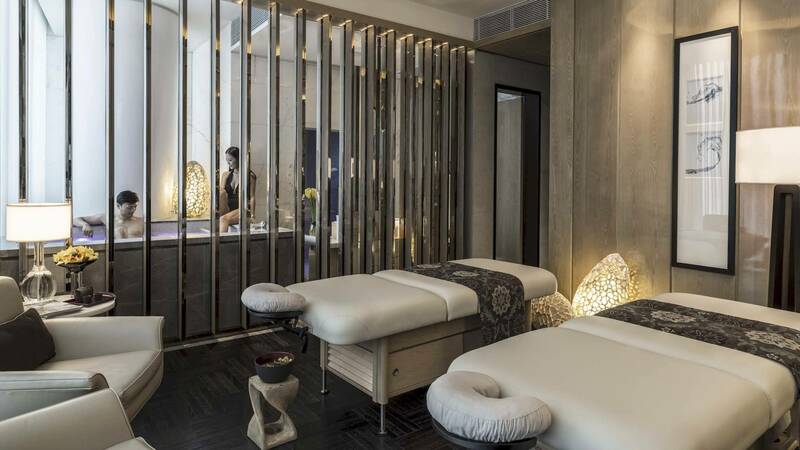 Not only its unrivaled location makes the Hua Spa an ideal retreat from the hectic pace of the city below. 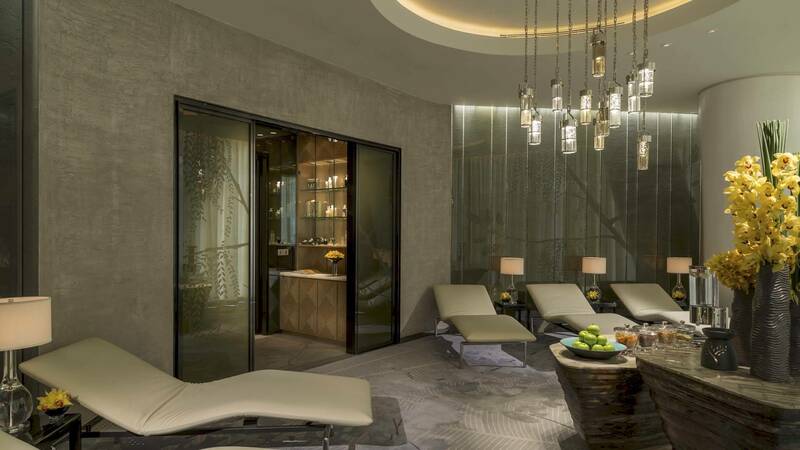 Guests are offered a holistic spa experience inspired by flowers – hua in Mandarin. 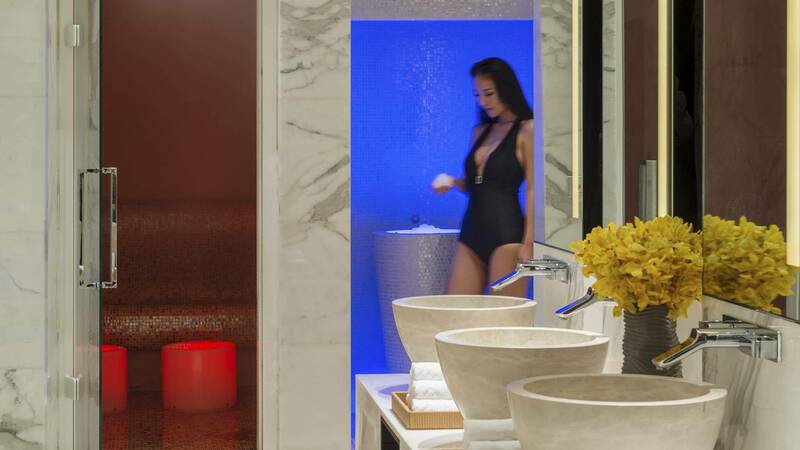 The Hua spa reflects the hotel‘s stylish and luxurious design and expands over 1.866 square meters. The women’s area at Hua Spa offers a water-based treatment area with Vichy-style shower, rhassoul mud chamber, crystal steam room and a laconium, while the men’s area features an herbal steam bath, a Swedish and Finnish sauna and ice fountain. Three VIP treatment rooms, each with an oversized vitality tub and rain shower, have been specially designed for couples. Men’s and women’s locker rooms all include a sauna and steam room.